"Why Gaza does not have bomb shelter[s]? Hamas took control of Gaza Strip in 2005 following Israeli withdrawal. However, hostilities never ended... Had Hamas built bomb shelters, the causalities would have been reduced. It seems Hamas does not pay much attention to the number of dead Palestinians." — Abdulateef Al-Mulhim, journalist, Arab News, 2014. Israeli soldiers do not set out to kill Palestinian children. Palestinian terrorists, however, knowingly and with malice aforethought, shoot, blow up, and slit the throats of Israeli children. You come from a Christian community, yet you appear to show compassion only for Palestinian children. If you do have feelings for Jewish children, I have never heard you say so. Israeli children are never taught to hate and kill Palestinians. Their schools inculcate peace-making and the Jewish ethic of tikkun olam, "repairing the world," making it a better place. No international body has ever shown otherwise. But there is a vast body of evidence showing that Palestinian teachers and leaders do the exact opposite. British and other foreign aid money paid to the Palestinian Authority goes "into Palestinian schools named after mass murderers and Islamist militants, which openly promote terrorism and encourage pupils to see child killers as role models." You have close connections to the Palestinian people and ought to have influence on them, to preach a Christian message of love and brotherhood. Are you willing to tackle them on their destructive use of children as cannon fodder and their educational system that turns little boys and girls into Jew-hating fanatics? Will you have the humility to apologize to the Jews of Israel for your unjustified accusations, to speak with them, to meet senior officers in their military, and to learn at first-hand how they work for eventual peace, however many times their efforts to bring it are thwarted by Palestinian rejection? I think you owe them that. Earlier this year, you co-signed a letter to Mr Sammy Stein, Chairman of Glasgow Friends of Israel, in which you cited sources and made statements regarding the belief that "Israeli military forces routinely attack children", regularly shooting and killing them. Mr Stein has asked me to respond to your letter, which I believe to be anti-Semitic under the most widely accepted definition of the term, the International Holocaust Remembrance Alliance Definition, signed by and accepted by 32 countries, including the UK and the European Parliament, and therefore having force in the jurisdiction in which you live and act. I am not Jewish, but for most of a long life I have defended Israel as the only safe haven for Jews and Middle East Christians, faced on all sides by violent enemies and by the rapid recrudescence of vicious anti-Semitism across Europe as well as a centuries-old hatred of Jews across the Islamic world. I would ask you not to make a knee-jerk dismissal of my arguments before you come to them, and I ask you to reflect on what I have to say and to pray about it. For I hope to show how far you stand as Christians from a fair, honest, and compassionate understanding of the sufferings endured by the people of Israel, whether they be Jews, Muslims or Christians. I say that because Israel is quite literally the only country in the Middle East and far beyond that provides freedom of religion and equal rights for all its citizens. As a former lecturer in Arabic and Islamic Studies, a Middle East historian, and the holder of a doctorate in Iranian Studies, I make that statement in the firm understanding that it is true. The limited sources you cite in evidence of routine attacks on Palestinian children include several, such as B'Tselem and Electric Intifada, that are notorious as anti-Semitic and unreliable in the extreme. As an academic, I would not touch them with a bargepole. It is also vital to ask why you do not cite a single Israeli or pro-Israel source in an attempt to seek a balanced approach to the issue. When you wrote your letter, I believe you had already made up your mind and showed no interest in a more informed examination. Three of the sources you cite are dated from 2014, from the time of a war that was started by Hamas, disseminating information that was even then unreliable. Yes, Palestinian children are often killed. The real questions are: why are they killed, who kills them, and whether the Israeli army, the Israel Defence Force (IDF), has a policy that leads to routine killings. Before going further, I assure you that no such policy exists or has ever existed. As I shall show, the exact opposite is true. I also want to ask why you do not once mention the frequent deaths of Jewish children by Palestinian terrorists. I shall return to that later, but I would like to know why your reported compassion for dead children recognises only Palestinian children, not Jewish boys and girls who have had their throats cut while asleep in bed or blown to pieces by suicide bombers seeking paradise by slaughtering Jews. Do you care about them at all? How far does Christian love extend? In 2015, a body known as the High Level Military Group (HLMG) visited Israel six times in the wake of the 2014 war with Gaza, to which conflict several of your sources refer. The HLMG is made up of eleven former senior military personnel who issue reports on conflicts between democratic armies and terrorist organizations. These officials had held top positions in the US, British, German, Spanish, French, Indian, Australian and Colombian defence forces and were, they said, afforded a level of access to the Israeli military that was "undoubtedly in excess of what our own countries would afford in similar circumstances." They included a former chairman of NATO's Military Committee, Klaus Naumann, and sometime commander of British forces in Afghanistan, Col. Richard Kemp. All were from NATO and other democratic countries. Unlike yourselves and the commentators you cite, these are individuals of deep experience in warfare and in the command of soldiers in combat. Like yourselves, I am not a military expert, so I have a high appreciation of their insights into the IDF. I trust that you too will show respect for their conclusions. Their 80-page report on the Israel Defence Force and its third war with Hamas in 2014 should surprise if not shock you with information that calls into question your portrayal of Israeli soldiers. It will only have such an import however, if your minds and hearts are open to the possibility that your judgement may be grossly distorted. You may also like to read and ponder on an article by this author, asking whether Israel committed war crimes in that war – an allegation which all the evidence, confirmed by the HLMG report, disproves. Hamas in turn not only flagrantly disregarded the Law of Armed Conflict as a matter of course as part of its terrorist-army hybrid strategic concept, but rather it abused the very protections afforded by the law for military advantage. Embedding its entire military machinery in civilian locations and sensitive sites, including those of the United Nations, Hamas indiscriminately targeted Israeli civilians throughout the conflict with extensive rocket fire and willfully sought to draw the IDF into battle in a prepared urban stronghold amid the Palestinian civilian population in Gaza, for which it located its operational headquarters in Gaza's main hospital. So high were Israel's standards that even the HLMG's rapporteur, Davis Lewin, was concerned that "Some of the precautions were so extensive they worried that they could become norms in international law in terms of having to fight their own battles elsewhere." It is Israeli policy to warn enemy civilians of impending attacks by dropping thousands of leaflets, making telephone calls, sending text messages, and even dropping projectiles called "knocks on the roof" to give residents advanced warnings to evacuate the premises. This practice alone makes Amnesty International's accusation of "callous indifference" to civilian deaths utterly indefensible. Giving advance warning of attacks is disadvantageous for the Israeli Air Force in two ways: it warns Hamas fighters and rocket-launching teams that they have been spotted and designated as targets, and it allows Hamas to order civilians to remain in buildings or go onto flat roofs to dissuade Israelis from firing. This policy of warning civilians of a coming attack is stated clearly in Israel's Manual on the Rules of Warfare (2006). Hamas does the exact opposite, not just with its indiscriminate rocket attacks on Israeli civilian centers, but in its callousness regard for its own civilians, including children. There is overwhelming evidence that Hamas used human shields in various ways. Children have been used to protect fighters, who physically hold them or open fire right next to them. Numbers of civilians have been ordered onto roofs, to remain in homes that may be targeted. Hamas places rocket launchers inside or directly next to civilian sites. There is much evidence that Hamas military structures, rocket launch pads, and command centers have been situated directly in or next to civilian dwellings, a church, hospitals, mosques, and schools. Even the UN has admitted this. If you will take the care to watch the videos I have linked to, you will see stark evidence of those crimes. Does it not shock you to learn that Hamas fired rockets from 31 UN facilities, 41 hospitals, 50 children's playgrounds, 85 medical clinics, 248 schools, 331 mosques, and 818 other civilian sites. One report reads that "Hamas uses UN facilities, schools, children's playgrounds, water towers, mosques and countless other active civilian facilities as launching sites for rockets and attacks. In this operation [2014 war] alone, Hamas has launched above 1,600 rockets from civilian sites." Read that again -- "they have formed human shields [duruq bashariyya] of the women, the children...." -- and you are outraged that Palestinian children are killed, and blame that on soldiers in an army that goes morally far beyond any other army in the world, and that puts its own troops' lives in danger in order to avoid hurting enemy civilians? In your letter, you say nothing about Hamas or the Palestinian Authority which carry out or condone terror attacks, frequently inciting their own children to carry out stabbings or teaching them to become suicide bombers. As far back as 2014, Hamas killed 160 Palestinian children used to build terror tunnels, some of which ended under Israeli kindergartens. You say not a word about any of this. It is a matter of record that Islamic terrorists use children from an early age as fighters and suicide bombers, in Afghanistan, Pakistan, Iraq, the West Bank, the Gaza Strip, Syria, Iran, and elsewhere. Iran used children to explode landmines during its war with Iraq, and is still calling for young boys to fight in Syria. ISIS has used around 1,500 children (as young as seven) as fighters, suicide bombers, and executioners, putting them in harm's way and causing severe mental illness for any who may survive. These things are well known across the world. I do not doubt that you condemn this. But Hamas, whom you do not condemn, is part and parcel of the international Islamic terrorist campaign against the West. Their use of children falls into the same category as that of the Taliban, ISIS, and other murderous criminal enterprises. Yet you criticize Israel whose soldiers fight to defend their people from this evil. Israel builds bomb shelters to protect its civilians, including children, from Hamas rocket attacks. Most Israelis have a small shelter in their homes: "In 1951, three years after the State of Israel declared its independence, the country instituted a civil defense law requiring all homes, residential buildings and offices to be equipped with shelters or 'safe rooms'." In Sderot, however, close to the Gaza border, Jewish children have a mere 15 seconds to run from playgrounds to shelter. On July 2, 2016, in Sderot, a Hamas rocket landed directly in an early childhood development center. A 2012 study showed that almost half all pre-teen children living in Sderot suffered from post-traumatic stress disorder. You do not even refer to these facts or mention other places inhabited by children, and instead blame Palestinian children's deaths on Israeli soldiers. This is morally irresponsible and reprehensible, and I do not hesitate to call you out for this transparent obliquity. I mentioned above the many deaths of Israeli children at the hands of Palestinian terrorists who deliberately set out to take innocent lives. Allow me to mention just a few, and then to ask you why, to my knowledge, you have never condemned your Palestinian friends whose schools, television and radio broadcasts, political speeches, and religious sermons encourage their fellow citizens to go out to kill Jews, telling their own children that they should regard murderers as role models and aspire to carry out similar attacks once they are old enough. Between 2000 and 2005, the Second Intifada -- an outbreak of senseless violence targeting Jewish civilians -- hundreds of children were murdered in suicide and bus bombings, car shootings, and sniper fire. See Here for some of them. In March 2011, five members of a religious Jewish family, the Fogels, were slaughtered in their beds in Itamar by Hakim Awad, an 18-year-old Palestinian. He cut the throats of the father, and the mother, then proceeded to do the same to 3-month-old Hadas, 4-year-old Elad, and 11-year-old Yoav. Three other children, who were not at home, survived but were mentally scarred for life. Last year, a 13-year-old Israeli girl, Hallel Yaffe Ariel, was stabbed to death while sleeping in her bed after a 19-year-old Palestinian man broke into her family home. Her mattress and the floor of her room were covered in blood. Israeli soldiers do not set out to kill Palestinian children – the moral qualities of the Israeli military have been made clear above. Palestinian terrorists, however, knowingly and with malice aforethought, shoot, blow up, and slit the throats of Israeli children. You come from a Christian community, yet you appear to show compassion only for Palestinian children. If you do have feelings for Jewish children, you never say so. Israeli children are never taught to hate and kill Palestinians. Their schools inculcate peace-making and the Jewish ethic of tikkun olam, "repairing the world," making it a better place. No international body has ever shown otherwise. But there is a vast body of evidence showing that Palestinian teachers and leaders do the exact opposite. British and other foreign aid money paid to the Palestinian Authority goes "into Palestinian schools named after mass murderers and Islamist militants, which openly promote terrorism and encourage pupils to see child killers as role models." Last summer, "a Gaza kindergarten graduation ceremony sponsored by the Islamic Jihad, featured children dressed in military fatigues, holding toy weapons, acting out attacks on an Israeli army base, firing mortar shells, planting explosive devices, kidnapping soldiers and even delivering mosque sermons that praise martyrdom." In 2012, senior Hamas commander Zaher Jabarin told Hamas' Al-Quds TV that Hamas labors "day and night" to educate Palestinian children in Gaza to become suicide bombers. In 2013, Gaza's Hamas-run al-Aqsa TV showed children singing the virtues of suicide attacks, and wishing to blow themselves up to "liberate" Jerusalem and Palestine. You have close connections to the Palestinian people and ought to have influence on them, to preach a Christian message of love and brotherhood. Are you willing to tackle them on their destructive use of children as cannon fodder and their educational system that turns little boys and girls into Jew-hating fanatics? Will you have the humility to apologize to the Jews of Israel for your unjustified accusations, to speak with them, to meet senior officers in their military, and to learn first-hand how they work for eventual peace, however many times their efforts to bring it are thwarted by Palestinian rejection? I think you owe them that. Surely, that is what Jesus would have done. Cited in private letter by Mr Stein and in letter signed by Marten, shared with author. On all of these, see here. See also here, here, and especially here, where a Hamas fighter uses a little girl to fire a sub-machine gun at Israeli troops. Dr MacEoin points out the P.A. anti-Israel hate machine that is their education system. This is, in fact a gross violation of the Oslo accords, and perhaps the most important of its requirements of the P.A. side. Why has it never been pressed. A whole generation has been wasted because world politicians do not see the importance of teaching peace to Arab children. I might add that a similar provision in the Egyptian peace treaty has never been honoured. That is 2 generations wasted. "And there will come a Pharaoh who knew not Begin..."
A 'man of God' who actually takes side with Hamas and the Palestinians against Israel after knowing these clear facts is actually serving the devil and will soon follow his master to Hell Fire. There is nothing Christian in a pastor or Reverend who will not study, gather facts and read wide to show himself approved; a workman that need not be ashamed; rightly dividing the word of truth as ordered by the Bible, but sit idly by, ignorantly or maliciously blaming Israel. There is no military anywhere in the world more morally upright than the IDF. People like me have angrily remonstrated against such extraordinary high moral standard in the heat of combat, calling the IDF 'more catholic than the pope'. Yet a reverend will dare take side with unhinged murderers and Satanists who live only to shed blood! Many of these western reverend gentlemen have zero actual knowledge of the facts about Israel-Palestinian conflict. Many of these people do not even realize that the Israel they read about in the Bible are actually this same Israel; and they yet call themselves Christians! Shame, double shame on a Christian that take side against Israel. Have any of the Ionian community met/been to or had any personal interaction with Israelis or those living in Gaza? When you've been here and seen for yourself how we behave towards our neighbours, with compassion and a belief in preserving life, then you can comment. Syrian and Palestinian children and adults who are injured by war, or in need of medical help are brought to Israel for help. Nobody asks what their religion or nationality is. Unfortunately this has to be done in secret because if their authorities find out, then the consequences are not pleasant. Iona, I invite you to come to Israel and see for yourselves. The Jewish people owe Dennis MacEoin a debt of gratitude for his consistently eloquent, reasoned, informed and scholarly defense of Israel. With the possible exception of Alan Dershowitz, he is without peer in the English language in making the case for Israel. His sense of conviction and indignation at the baseless, biased and extreme attack on the Jewish State permeates everything he writes on the subject. He puts to shame people who forget the axiom that "If I am not for myself, who will be for me". The answer: Dennis MacEoin. And today in UK Times headline is exposure of a young child from a Christian background and English speaking family being taken into care and twice placed with foster parents who wear Burka, despise Christianity and Western culture, prevent child from eating Carbonarra because of bacon content and force her to learn Arabic. Islmaic tolerance and diversity no doubt .... In London Tower Hamlets borough. What of the Pakistani young Christian girl who was raped, forced to marry a Muslim and renounce her Christianity? What of the Nuba people in Sudan and the genocide that is still taking place under orders of Omar Bashir north Sudan? Silence and more silence. As an unashamed Christian Zionist I weep for the future of my children and grandchildren in the UK. Interestingly Canon Andrew White bishop of Baghdad has been granted safety in Israel and is able to continue his work among Arabs. Shame on Iona and those of their ilk ... to say Ichabod would be apporopriate. The leaders of Iona are wolves and Jesus and the apostles warned about such imposters. Most don't know or refuse to acknowledge the root of replacement theology in most of our churches. Neither do most have a capacity for the truth. We are all responsible for what we hear, we are all accountable for the seeds of truth or tares that we sow, for we reap more than we sow later than we sow. It is good you succinctly brought out the truth. The Church is no longer what He created it to be, though He said to the woman at the well, "salvation is of the Jews," may He bring His church back into its righteous place as He promised for branches were broken off that we might be grafted in to the Commonwealth of Israel, it is the Root that holds the branches and not vice-versa, He who broke them off is also able to graft them back. Romans 11 is the foundation of God's covenant truth over Israel in the New Testament and this is one truth intellectualism, within the church cannot cover for long or suppress though some have used the spirit to suppress righteousness in unrighteousness. It is written we shall know the truth and the truth shall set us free. May we be delivered from the spirit of homicide and self-justified suicide as a weapon within the Palestinian cause hiding as "Gibeonite's" within the church. The teacher of the word will bear more stripes though the hearer is required to search the scriptures diligently. Lord deliver us from blind leaders and give them the grace to acknowledge it when wrong. Remember I am just a woman and a Messenger when retaliation comes for it always has. Thank you for standing up for the truth, it can't be plainer than this. I visited Iona Abbey last summer on a visit to my homeland, Scotland, which included a tour of the Outer and Inner Hebrides. I was looking forward to seeing the burial place of so many Scottish, Irish, and Viking kings. The setting is beautiful and indeed, as reputed, seems to be other-worldly - a place where sky and sea meet. However, upon entering the abbey I was confronted with pro-Palestinian posters, which I immediately recognized as being thinly veiled anti-Israel propaganda, including one which promoted an upcoming bazaar where apparently "Palestinian crafts" were to be sold - not "Arab" crafts, not "Middle Eastern" crafts, but "Palestinian" - which implied a long history of a unique culture. But we know that this "unique" culture has been created, and is no different from that of other Arabs in the surrounding region. I was appalled to be confronted with this type of warped thinking in what I had hoped was a place of reason and serenity. I left soon after and could barely look at the gravestones of all those Scottish kings. Thank you, Dr. MacEoin, for this important letter in defense of Israel. Wow!! You have said ALL. Thank you, Dr. MacEoin! They say politics has no morals or conscience. How could some of us Christians be so blind to the care Israel takes to avoid killing civilians let alone children. Hamas has the habit of exposing its own children to harm since it knows the West will go insane in pretended - but harmful to Israel - compassion. During the recent attack on Israel actually some Gazans pointed out that ploy and at least Hamas postponed some of its scheduled series of attacks for now. Gazans told the truth but "Christians" of Europe can never bring themselves to tell even half truth when the truth concerns their new Muslim masters. Is the Iona Fellowship a collective proponent of "Replacement Theology"? This doctrine asserts that the covenant between the children of Israel and the God of Abraham, Isaac and Jacob is utterly null and void, and that Israel has been completely, eternally rejected by God and "replaced" by the world body of believers in Christ; a doctrine which is false and was refuted early on by the Apostle Paul, as outlined in his Letter to the Romans, chapters 9, 10 and 11. If they of Iona embrace the false doctrine of Replacement Theology, that would be a compelling explanation for their anti-Israel prejudice, and in that case, they would do God service indeed to diligently review the above-mentioned passages. One of the sure indicators of a Holy Spirit-filled life is a loving, conciliatory heart toward the children of Israel. To believe otherwise is heretical and delusional. I cannot easily type this "comment" through the myopia-inducing-tears that I shed out of extreme THANKS to Gatestone and specifically, Mr. Denis MacEoin! As a believing Christian, I am so appalled by Gentile denominations who claim faith in the same G-d, pulling their businesses and export-import trade with their Israeli counterparts. I was attending a church, not knowing they were that way. I stopped attending but struggle to balance my need to sing my worship to our G-d. That is because this particular Church has been blessed with brilliant musicians whose talents raise the roofbeams!!! I think I have cried myself to sleep on many a night because of the reprehensible actions of a group of people who aspire to heaven, but have descended to depravity, rejecting Israel, and defending the Blackheart of Islamic Jihadism that stoops to foul devices to murder even their own. Gatestone, I worship in my "closet"....metaphorically speaking. I refuse to align myself with anti-Semitic ways. This is MY definition of Anti-Semitism: THE GREATEST HUMAN, who walked the earth, who was G-ds' Son, who died for the sins of ALL, was NAMED by G-d, YESHUA, not Jesus, and NAMES have great significance to G-d....and G-d chose the Jews AND their language to speak to them. Their alphabet has numerical significance as well. So, how can believers protect themselves from the the "number of a man"(666), if they refuse to call ALL of the G-dly persons named in the Bible by their JEWISH NAMES. What is my point? Don't talk about "trust and obedience" if you cannot HONOR The NAME that is ABOVE ALL NAMES??!!?? This is a shame since the Iona Community was not founded on anti-Semitic lines! It was originally inspired by the Scottish Church Society, whose founder, the Rev. James Cooper had been a High Churchman in the Church of Scotland and Professor of Ecclesiastical History at Glasgow. 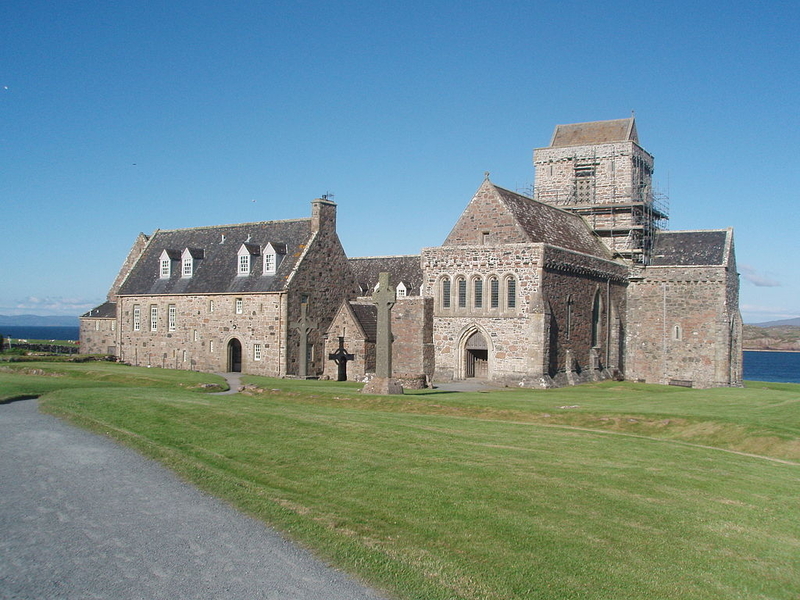 The Iona Community was an ecumenical movement on broad lines from the beginning- even the anthroposophically Christian Community was accepted there. I am surprised to learn that they turned anti-Semitic quite recently. But the WCC had some anti-Semitic tendencies in the past! "The Iona Community, about which I have written here before, is an ecumenical Christian fellowship in Scotland. Its headquarters are in Glasgow, but its main activities take place on the island of Iona in the Inner Hebrides, which is seen as a place for spiritual retreats. It has an international reputation for preaching love, a spiritual vocation, and fellowship among Christians. To me however it is also deeply anti-Semitic through its extreme hatred for the state of Israel and its one-sided support of the Palestinian narrative – according to the definitions of the International Holocaust Remembrance Alliance (IHRA) and the US State Department." "Father, forgive them for they know not what to do." Thank you for this comprehensive article on Christians who libel Israel, the Iona Community. Smear tactics are prevalent world-wide, and even well-meaning people fall for them as we were warned as Christians for centuries. Once you get out of the "Word" you are vulnerable, and this denomination like so many others has done just that, fallen for the disinformation. I was privileged to see the video of the "fake killing" of a boy named Mohammed Aldura (sp?) by a French film maker that started the second Intifada. The boy and his father were never killed. Then "Pallywood" - the Palestinian fake media, took a photo of a boy who was killed by another Palestinian in a local skirmish, and presented it to the ignorant as the boy Mohammed Aldura (sp? )...it was obviously not the same child! How many people have seen this film? I don't know but it is available. It was a friend of Pamela Geller who showed it to us at Stanford University several years ago. We cannot stop the smear tactics, as they are world-wide and people pay lots of money these days to smear others! My Gaelic Bible believing ancestors would not have fallen for this. Just throw the book of Genesis out the window and you are already lost to reality. Mohammed's conquests, Palestinian violence, Islamic State violence, the Taliban, al-Qaeda, and all other terrorist activists are on the same page. It is the same conflict by a different name. Islam must rule! No place for Jews. Why don't these people in Scotland, and around the world, understand the real Palestinians were Jewish, so named by the Roman Emperor Hadrian. Arabs come from Arabia, Jews from the land of Judah...it's elementary my Dear Watson. Israel is a legitimate country with the right to defend itself. When American soldiers defend themselves from little boys with machine guns shooting at them and the child is killed, the Taliban liars tell the stupid media the child was innocent and shot down in cold blood. Islamic ideology teaches lying to Kafurs and that is what the rest of us are! Too bad so many are so ignorant. What you research and publish at Gatestone is badly needed in this current fake news, misinformation, and propaganda war of words thinking people have to wade through like mud! Is Jesus at the checkpoint? You bettcha...protecting Israel. God never rescinded the covenant! Every Sunday, you kneel in worship of a West Bank Jewish settler. Jesus never met a "palestinian", never saw a mosque and never heard a single word of Arabic. Jews had already been the true natives in the Land for over one-thousand years, and their unbroken presence continues until today. In more recent times, the British (from whose diplomatic "wisdom" you Scots continue to suffer) arbitrarily gave away 80% of "palestine" to create a Jew-free Arab state named Jordan. In more recent times, much of remaining land was given to create a second Jew-free state in the West Bank. If Jesus were to reappear in Bethlehem today, he would have to flee for his life - even that city has been declared "Jew-free." Mr. MacEoin you are a scholar and a gentleman and this letter above is extremely well written and factual. Sadly, the people you write have zero interest in the facts. All those people on the left who believe that Israel is bad and the Palestinian people are victims love their fairytale (as good anti semites). They have not the slightest interest in actual facts and reality as those will immediately destroy their fantasy. They share their antisemitism with those on the far right like those screaming anti Jewish slogans recently in Charlottesville. However, their brand requires them to perpetuate lies about Jews instead of screaming anti Jewish slogans. It is all the same hate just with a different flavor. I hope that you reach at least one person who actually wants to know the truth. Thank you for being the brave voice of reason in a sea of hate. I'm glad I read down to your comment. I wholeheartedly agree with you, and others, that the probability is virtually overwhelming that Dr. MacEoin's letter will fall on "deaf ears and closed minds". I would take issue with labeling neo-Nazis, or the Klan and their fan boys, "far right". There is nothing of the US understood political right in Fascism, National Socialism or the KKK. These entities are labeled "right wing" by the Left and it has been a very successful propaganda campaign going back to the period just after WW II. Mussolini was a Socialist long before he decided Socialism would "sell" in Italy if a large dose of nationalism were added. The name of Hitler's party Nationalsozialistische Deutsche Arbeiterpartei (National Socialist German Worker's Party - NSDAP, Nazi) is hardly a "right wing" party and name as we understand it. I appreciate very much what Dr. MacEoin does in this letter. It needed to be said, and said forcefully as he does. But I am afraid it will fall on deaf ears. I seriously doubt that those to whom this letter is addressed will even read it. People like Michael Marten and Peter Macdonald cannot bear to have their pre-conceptions challenged, and deliberately refuse to expose themselves to information that runs counter to their prejudices. They are, in fact, practical Manichaeans in their treatment of Israel as the embodiment of evil and Palestinians are faultless angels. It is appalling that Iona has fallen into such hands. Well said Denis MacEoin! That was a concise and well thought out response to the propaganda that is espoused from people that should know better. Our world is in a perilous condition of untruths being lectured to us by people who should know better. Frighteningly I have had young people try to tell me that the Holocaust never happened. I am horrified and I will quickly put that conspiracy theory to bed. My childhood friend's father (94 years old now) was one of the British liberating soldiers that came upon Bergen-Belsen. An experience and memories of which will haunt him forever. We cannot let these people that espouse such hatred and untruths to the next generation, as facts, win! If the word Ecumenical appears then it will be liberal, have a low view of Scripture and follow the false teaching of men such as Karl Barth. It is one point away from Syncretism which teaches all roads lead to God. They don't. All roads lead to destruction other than the Way of the Cross. That goes for everyone. I suspect Iona would appeal to all spiritual people and New Agers. Hard Protestantism has led to a touchy - feely New Testament Christianity where love without truth is presented as the Gospel and Tolerance and Inclusivity instead of meaning ALL are called to Christ, mean all are saved with or without Christ. The next step is Unitarian Universalism and all these roads lead to hell. Bang on Denis. For me, growing up in Ireland, the Abbey of Iona was an iconic symbol of Christianity, retreat and education, founded by St.Columba from my own county of Dun Na nGall (Donegal). It was from here St. Columba helped spread Christianity amongst the Scots. The anti-Semitism of the not so-esteemed duo above appals and saddens me. Do Cara, Miceail. This demonstrates the creeping evil enveloping the churches. I have seen many different churches of different denominations succumb to becoming "man pleasers" instead of "God pleasers". The dark spirits of ecumenicalism, political correctness, inclusiveness and diversity have subverted the gospel. Outside the church, in the workplace, I found myself increasingly alone; as the only defender of Israel left amongst hundreds of co-workers. My wife has found the same. It makes you careful of what you say because of the entrenched hatred of Israel. Something is at work to whip up hatred of the Jews, and it believe it is the same spirit that drove Haman and Hitler. It is a spiritual battle, the churches have been infiltrated by the enemy. Rev Peter MacDonald is married to a "feminist theologian". Such information should immediately raise questions about the biblical foundation of this gentleman's profession of Christianity. Read Paul's ministry. Galatians 3:28 clearly sets aside such a concept. The big problem with the so called Christianity of many in the major "Christian denominations" today is that it is not biblically based. It is a corrupted version based on the adaptation of the inerrant word of God to the deeply flawed religious ideals of man and women who do not recognise the centrality of the cross, the absolute sufficiency of the work of Christ and the eternal promises of the one true and living God. To such, Christ was the exponent of a desirable philosophy that can be attached at will to everyday life. God's word and its eternally precious truth deny this. Jesus said to Nicodemus, "You must be born again." If a man or woman starts there, denial of God's word, including, incidentally His plans for Israel must be completely refused. Israeli children are never taught to hate and kill Palestinians. Their schools inculcate peace-making and the Jewish ethic of tikkun olam, "repairing the world," making it a better place." Will Macdonald and Marten, take in what it says and find a more honest way to express Christian concern, not just for the children of Gaza and the West Bank, but for Jewish children murdered in their beds and at school by Palestinian terrorists? A comprehensive rebuttal of the Iona Community's position. But I fear they are so convinced of their own holiness, they will not listen. Jesus spoke of people like this, who criticize others, unaware of the beam in their own eye. The Iona Community is a disgrace to Christianity; its one-sidedness and bigotry are plain to see. This is a most articulate response to an anti-Semitic organization, in this case a Christian Community, that I have read in a while. The Iona Community is not the only anti-Semitic group who professes Christianity. Because of this, Dr. MacEoin's letter should be "cc" to the Pope and Heads of other Christian streams who promote a myopic view of the Israeli-Palestinian conflict. Thank you Dr. Denis MacEoin for this MUST--READ article. Unfortunately, most ANTISEMITES don't give a hoot about the truth --- getting rid of Jews is BACK IN STYLE!!! Never the less, it is a must read, and I hope that most people WILL read it, and share it with others. But, don't hold your breath. Thanks again --- it is a great article!!! I so appreciate someone with real understanding and knowledge of the Middle East, in this case the Israeli/Palestinian conflict. 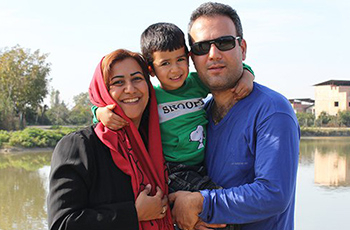 It is my experience that certain clerics have an overwhelming need to establish their own righteousness by moral denunciations of those who do not hold their perspectives on various conflicts and clashes around the world. Very often it is a secret case that they have "given up" on the Gospel which they were ordained to proclaim and therefore resort to these high-minded condemnations as a legitimate substitute (in their opinion). Thank you Dr MacEoin for your insights and knowledge of the situation. Rev Dr James Elias - retired Presbyterian minister - south africa. liberal politicians and activist agitators are now destroying nations against the direct revealed will of the peoples that they have managed, by decades of propaganda and university level brainwashing, to wrest power almost completely. It is no different in the church, worse in many ways because people are too lazy and accept the persuasions coming from the front of the church instead of from the Head of the church (our Lord Jesus Christ). The government news media filters the news to the uninformed masses to achieve the desired response, and we comply. the few who challenge the party line are labeled alt- right nazi fanatics or worse, lose jobs and friends, then get censored by CIA bedfellows google and facebook. we fight against, not only flesh and blood haters, but principalities, powers, demons. it is real, it isn't going to stop, and as Ronald Bernard (dutch banker deep in the corruption who exposed some of the depraved Luciferian sociopaths who rule the western world- then died in a florida swamp last week) it isn't just money and power that drives them. it is a deep hatred for anything for which the Christian world stands. i listened to ex-satanists say they were instructed to become part of congregations just to cause divisiveness and destroy the church. the 'liberal progressives' are doing the same in america, pretending to report 'news' from the news giants headquarters but with a hidden agenda. As usual Dr Denis MacEoin is spot on. Regardless of his repeated lucidity in presenting the facts, those wishing Israel harm prefer to ignore them. I can't see the haters doing a turnabout any time soon which is extremely frustrating. I can't fathom what the preoccupation with Israel is amidst all the chaos in the Middle East not to mention Europe. I suggest the problem will only be solved when good people stand up and fight this insanity. We cannot convert those who are too blind to see. Meanwhile Israel is thriving. Thank you, Dr. MacEoin. This thorough refutation of the lies and other misrepresentations made about the Israeli armed forces is a great resource for all of whose who cherish Israel. The words and acts of Hamas and Palestinian Authority figures teaching their children to kill Jews, urging them to kill Jews, place them beyond the bounds of humanity and civilization. What they teach, incite and do is evil in the eyes of all right-thinking men and women of the civilized world. The evil messages they use to mislead have ruined Muslim and non-Muslim lives for centuries. I am a Christian and I cannot understand how anyone can claim to be a disciple of Jesus and support Palestinian claims whilst rejecting the Jews right to the Promised Land. They demonstrate an apostate form of religion which is biblically illiterate, devoid of true belief and is blind to the suffering of Christians taking place daily in Muslim lands. Chrislam is false religion and hurts the testimony of true believers, the suffering church, the witness of the church and the life of the church. In no way would the One they follow whitewash, sanction or promote standing with Palestinians and their false claims, hatred, terrorism, lies and coveting the Promised Land. Iona and those associated are following a false Christ and adhering to a leftist agenda which does not hold to truth, justice or morality but supports fascist political and quasi religious totalitarianism. This is because certain sections of the Christian church has lost focus on who Jesus really is (that he is Jewish) and lost its sense of direction with the loss of its Jewish leaders. Yes the Christian church needs it HQ back in Jerusalem with men fully submitted to the Holy Spirit of the Lord G_d of Israel, they need to be both Jewish and Gorim (Gentiles with a covenant) Leading it love and in the power of the Lord G_d and doing exactly what Jesus/Yeshua did raising the dead, healing the sick and giving sight to the blind. A thank you seems very insufficient for this truth above all expectation from anyone by Dr. Denis MacEoin. Thank you! Very, very sad to read about this. I do wish the so-called Christians in the UK would go back to their roots and read some of the early Middle Eastern Christian texts or at the very least take a look at Prof Jordan Peterson on you tube. All this political agenda is the very death of a tradition which was very meaningful.